By purchasing this item the purchaser attests that they possess the necessary training and authorization to properly use this product. The purchaser also assumes all liability for events arising from the use of this product and will not hold Mission Spec, LLC civilly or criminally liable. 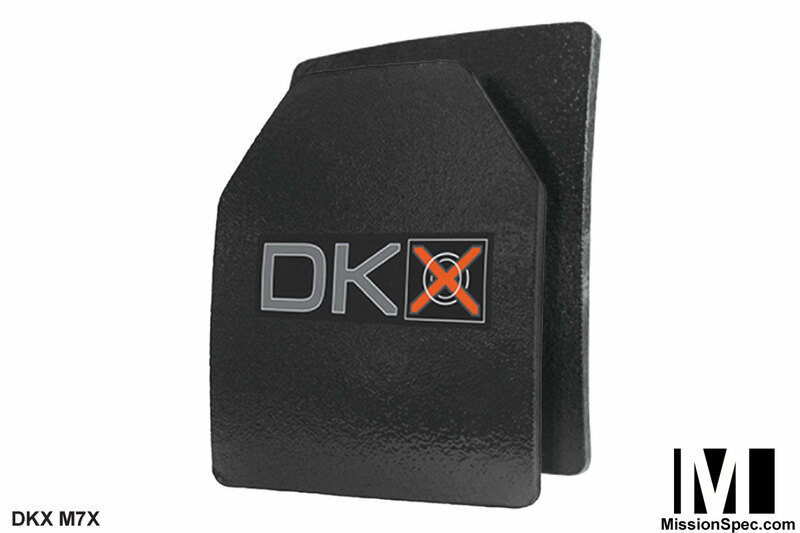 The DKX M7X Series ballistic plates add critical additional features to the DKX M7. 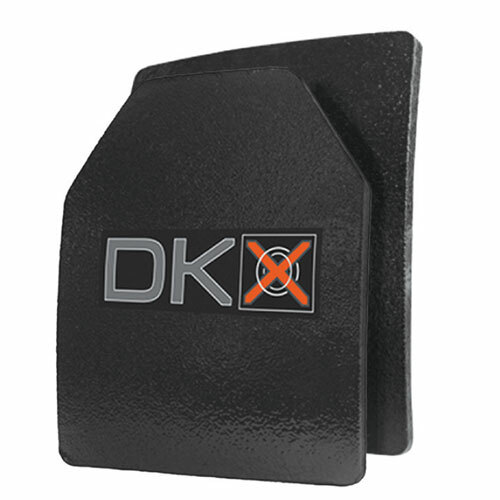 NIJ 0101.061 Certified Level III, the DKX M7X plate has enhanced special threat capability, is positively buoyant, lighter in weight and touts a 7-year warranty. 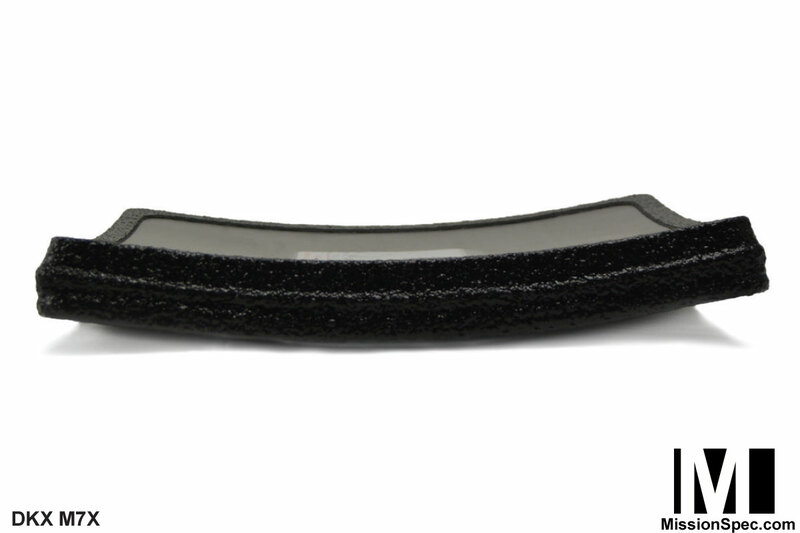 Consisting of an enhanced polyethylene, ceramic and silica combination, the new M7X Series is the latest development by DKX armor that delivers a lightweight M855 and 7.62×39 MSC ballistic solution. The M7X series is the clear choice for those looking for an economical, positively buoyant, NIJ certified advanced threat armor plate under 5 lbs. (Shooter Cut). Comfortable and lightweight, the M7X is the clear choice for those requiring NIJ certification, and advanced threat protection. Sold as single plate. Armor is not returnable. Quantity discounts are available. Please contact us for details. As this is a new item there may be slight shipping delays. Sales can only be made to US addresses and plates are not allowed to leave the country without approval by the US Dept. of State. These are ITAR controlled products. Direct activity that allows ITAR controlled items to be exported is strictly prohibited. Sales are prohibited to the state of Connecticut. Active Law Enforcement or Active Military located in the state of Connecticut must contact us via our Contact Form. 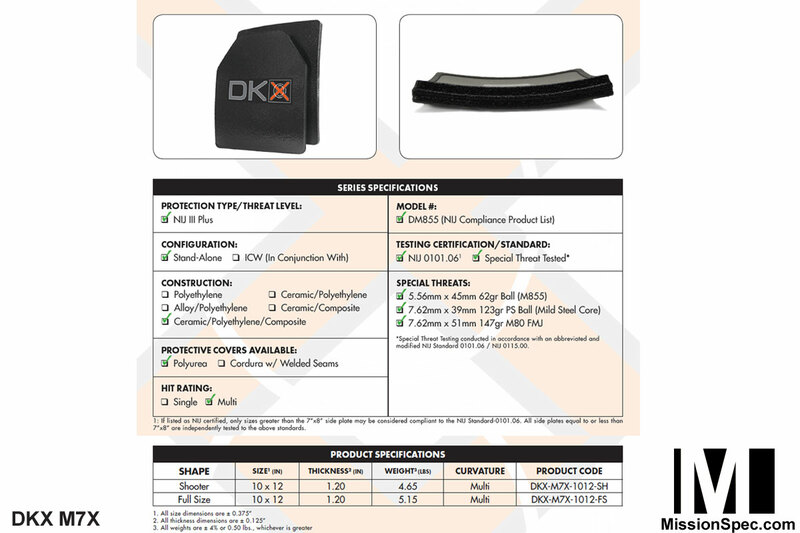 The DKX M7X Rifle Rated Armor is a Stand Alone Level III Plus armor solution.